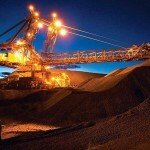 ​Australia slated to become largest coal exporter (0) March 24, 2015 Australia will resume its position as the world’s largest coal exporter, taking the title back from Indonesia. 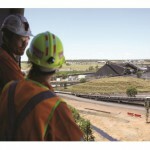 ​New FIFO mining suicide prevention program launched (0) March 24, 2015 A new partnership has been launched to halt suicide in the mining and oil and gas industries. 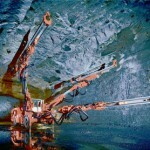 Apps Revolutionising the Mining Industry (0) March 24, 2015 Technology is taking hold of every industry under the sun, and it isn’t letting go. 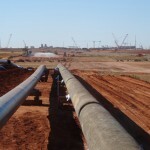 ​FMG gas pipeline completed (0) March 24, 2015 The pipeline designed to provide Fortescue a new energy source for its Solomon Hub has been completed, behind schedule. 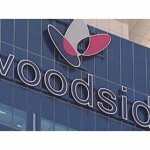 ​Woodside cuts hundreds of jobs, freezes pay (0) March 24, 2015 Woodside will cut approximately 300 jobs and freeze pay as it margins shrink under a weak oil price. Rasp mine extension approved (0) March 23, 2015 CBH Resources has been given approval to develop a new silver, lead and zinc deposit near its existing Rasp mine in Broken Hill. 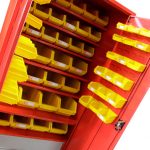 Introducing the iQbolt: A Bolt with Visual Tension Indicator (0) March 23, 2015 Keeping maintenance times and associated costs to an absolute minimum is vital in both the Oil & Gas and Mining industries. 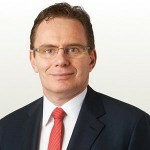 BHP boss discusses productivity push amid low commodity prices (0) March 23, 2015 BHP Billiton CEO Andrew Mackenzie says better productivity is the biggest opportunity companies have to improve profitability amid volatile commodity prices. 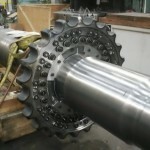 Mitchell Services win Anglo American drilling contract (0) March 23, 2015 Mitchell Services has won a three contract for drilling services at Anglo American’s QLD coal mines. 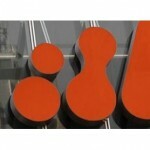 BHP ranked Australia’s top company (0) March 23, 2015 BHP has been ranked as the largest company in Australia in IBISWorld’s Top 1000 Companies report. 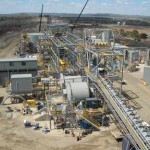 Orica names interim CEO (0) March 23, 2015 ​Mining explosives company Orica has announced its new interim CEO, following Ian Smith’s departure last week. 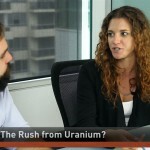 Introducing Australian Mining’s new video segment: On the Bench (0) March 20, 2015 Australian Mining Editor Cole Latimer and Journalist Vicky Validakis sit down to discuss QLD’s looming uranium mining ban and what it means for the industry. 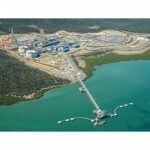 Vapour leak at QCLNG forces workers to stay indoors (0) March 20, 2015 Workers at the QCLNG project on Curtis Island were told to stay in their rooms yesterday morning after a vapour leak was detected. 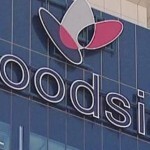 Woodside reveals it sacked seven people for fraud (0) March 20, 2015 A new report out by Woodside Petroleum reveals the company sacked seven workers for fraud-related activities in 2014. 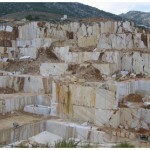 ​Man dies at NZ limestone quarry (0) March 20, 2015 A man has died overnight at limeworks near Waimate, in New Zealand. 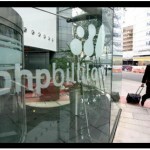 ​BHP issues billion dollar note issue (0) March 20, 2015 BHP has issued a five year billion note issue. 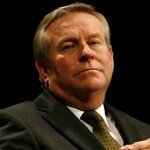 Barnett labels BHP and Rio’s iron ore strategy as “dumbest corporate plays” (0) March 20, 2015 WA Premier Colin Barnett has described a ramp up of iron ore production by Rio Tinto and BHP Billiton as “one of the dumbest corporate plays” he has ever seen. 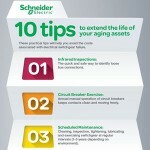 Switchgear Survival Guide: Tips to Optimise Switchgear and Enhance Reliability (0) March 20, 2015 With increasing dependence on computers and automated processes, most modern facilities cannot afford operation downtime. 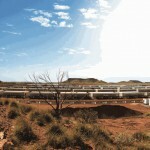 WA keen to take QLD’s unwanted uranium dollars (0) March 19, 2015 Western Australia’s Mines and Petroleum Minister Bill Marmion says the Queensland government’s decision to ban uranium mining is good news for WA. 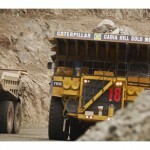 ​Mining outlook continues depressing trend (0) March 19, 2015 The first two months of 2015 has sustained the gloomy outlook, with SNL Metals & Mining recent report outlining “another set of depressing statistics”. 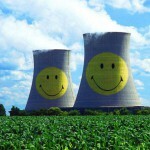 Australia’s nuclear future to be debated at conference (0) March 19, 2015 A workshop aimed at discussing the pros and cons for an Australian nuclear energy industry will be held in Adelaide. 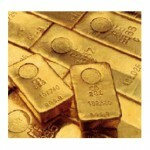 ​Gold demand to double, by 2030 (0) March 19, 2015 Increasing gold demand in Asia is likely to see a revival of the metal; however it won’t hit these new highs until 2030. 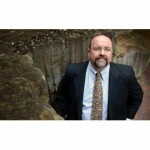 Slow start to uranium exploration in NSW (0) March 19, 2015 NSW may have opened up the state to uranium exploration but only one company has submitted an application to search for the metal. ​Protests erupt over anti-protest laws (0) March 19, 2015 Western Australia’s proposed laws which make it illegal for protestors to lock themselves to objects are seeing growing opposition. 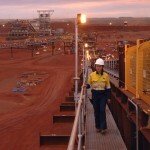 ​Iron ore miner cuts jobs (0) March 19, 2015 Karara Mining has announced it will cut 15 per cent of its workforce. 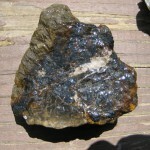 Price of iron ore falls to below $US55 a tonne (109) March 19, 2015 The price of iron ore has dived to a new six-year low amid fears it could soon hit $US50 a tonne. Small iron ore mine approved in the Pilbara (0) March 18, 2015 The first Indigenous-owned and operated mine in the Pilbara has been approved by the WA government. 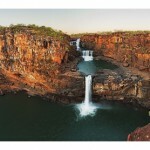 Investor confidence shaken after QLD uranium mining ban (0) March 18, 2015 The Palaszczuk’s government plan to ban uranium mining in Queensland has sent shockwaves through the industry. 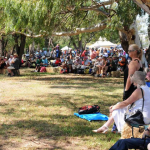 Coal Festival community forum (0) March 18, 2015 A community forum looking at future opportunities for the Hunter region will be held in Singleton next week as part of the Hunter Coal Festival. 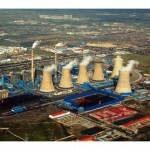 ​Coal futures fall to near decade lows (0) March 18, 2015 After an abortive rally coal futures have continued their downwards progression. Anti-mining protest held in Gunnedah (0) March 18, 2015 Around 1000 people gathered in Gunnedah at the weekend to protest against increased mining activity in the region. 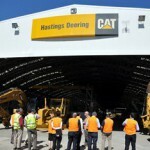 Hastings Deering could cut more jobs (0) March 18, 2015 Hastings Deering said job losses could be in the offing as the company suffers from a ‘dramatic’ slowdown in the mining sector. 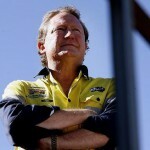 FMG cancels multi-billion dollar note offering (0) March 18, 2015 Fortescue has announced it will not pursue its previously flagged US$2.5 billion senior notes offering and refinancing plan. 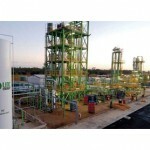 ​Orica CEO steps down (0) March 18, 2015 Orica have announced a timetable for the resignation of current CEO Ian Smith. 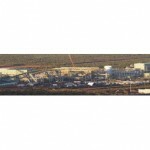 Linc Energy workers gas exposure confirmed (0) March 17, 2015 ​Linc Energy are facing allegations of exposing workers to poisonous gases during the course of their employ at the experimental plant near Chinchilla. 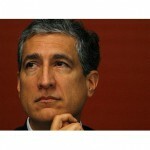 Iron ore price recovery unlikely this year (0) March 17, 2015 Westpac’s chief economist says the price of iron ore won’t see a recovery until at least 2016. 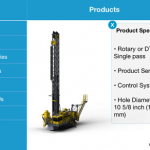 Caterpillar and Uptake create analytics solutions to optimise fleets [VIDEO] (0) March 17, 2015 Caterpillar and Uptake will jointly develop an end-to-end platform for predictive diagnostics to help customers monitor and optimise their fleets more effectively. Rio Tinto’s Australian tax bill for 2014 was $6.2 billion (0) March 17, 2015 Rio Tinto paid $6.2 billion in taxes to Australian governments last year. Sedgman win Mount Isa contract renewal (0) March 17, 2015 Sedgman has won a renewal for crushing and screening services at the Mount Isa mines. CFMEU loses appeal against compensation (18) March 17, 2015 ​An ex union official has won his appeal for compensation against the Queensland CFMEU over work-related stress leading to a mental breakdown in 2010. Worker breaks legs during Barrow Island cyclone prep (0) March 16, 2015 ​A Barrow Island worker suffered severe injuries on Wednesday afternoon during cyclone preparations, according to a letter from unions to WA Worksafe. 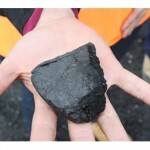 Pilots warned after plane attempts landing on coal stockpiles (0) March 16, 2015 ​REX airline pilots have been warned against using sight only to navigate to the Newcastle airport, following a 2012 incident near coal loading facilities. 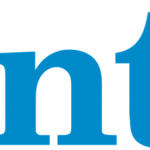 OZ Minerals sells Sandfire shares (0) March 16, 2015 ​Sandfire Resources entered a trading halt on Friday afternoon after it was announced that OZ Minerals would offload its shares in the company. 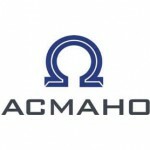 Asbestos victim wins right to claim compo (0) March 16, 2015 A former Gove alumina refinery worker has successfully claimed $425,000 in compensation for malignant mesothelioma, despite statutory limitations. 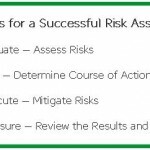 Striving to Achieve Supply Chain Optimisation (0) March 16, 2015 In today’s political and economic climate, the mining industry faces a myriad of challenges ranging from environmental restrictions right through to the more pressing issue of budget cuts. 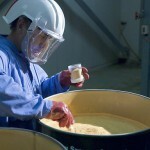 ​Queensland to ban uranium once more (0) March 16, 2015 The new Palaszczuk Labor Government is planning to once more ban uranium mining in Queensland. 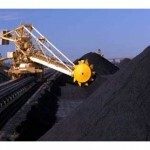 QRC accuses green groups of trying to shut down coal industry (0) March 13, 2015 The Queensland Resources Council has accused green groups of moving the goal posts when it comes to the expansion of the Abbot Point coal terminal. 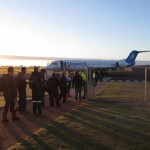 Unions call for evacuation investigation on Barrow Island (0) March 13, 2015 ​Trade unions have called on Worksafe to investigate evacuation procedures undertaken by Chevron in the latest cyclone incident on Barrow Island. ​GEMCO sees ore spill during cyclone, EPA says (0) March 13, 2015 BHP Billiton’s GEMCO operation has reportedly suffered four uncontrolled manganese spills following Cyclone Lam, the Northern Territory EPA says. 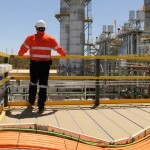 WorleyParsons win Geelong refinery contract (0) March 13, 2015 WorleyParsons has won a project management and engineering services contract for Viva Energy’s Geelong refinery. Glencore providing scholarships for the next generation of farmers (0) March 13, 2015 A partnership between Emerald Agricultural College and Glencore is helping develop Queensland’s next generation of farmers. Workers trapped on Barrow Island ahead of Cyclone Olwyn (0) March 12, 2015 Workers at Chevron’s Gorgon project are being forced to sleep on blow-up mattresses as Cyclone Olwyn hits Barrow Island after not being evacuated early enough. 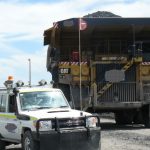 Worker killed at Blackwater coal mine (30) March 12, 2015 A worker has been killed at BMA’s Blackwater coal mine in a vehicle rollover incident. Price gouging claims under review at Pilbara ports (0) March 12, 2015 A new review will be undertaken by the WA Department of Finance into Pilbara port charges for shipping at the Utah Point Bulk Export Facility. 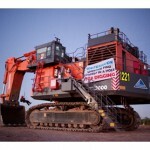 Price of iron ore dips to a new low (0) March 12, 2015 As major players in the iron ore sector gathered in Perth for a conference centred around the commodity, the price of iron ore hit a new six-year low. QRC applauds Qld Labor government (0) March 12, 2015 The Queensland Resources Council has congratulated the Labor government on their swift planning action for placement of dredge spoils from Abbot Point. 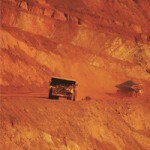 Rio and BHP putting Australia’s future at risk: Cliff Resources (0) March 12, 2015 Head of Cliff Resources says Australia is at risk of going out of business because of the iron ore strategy being employed by Rio Tinto and BHP Billiton. 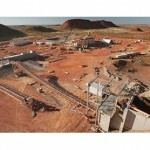 Roy Hill mine on track despite iron ore slump (0) March 12, 2015 The head of Gina Rinehart’s $10 billion Roy Hill mine said the project will ramp up to full production earlier than expected.